Dexter turned six months old at the end of November and we decided to bite the bullet and start our baby led weaning journey. 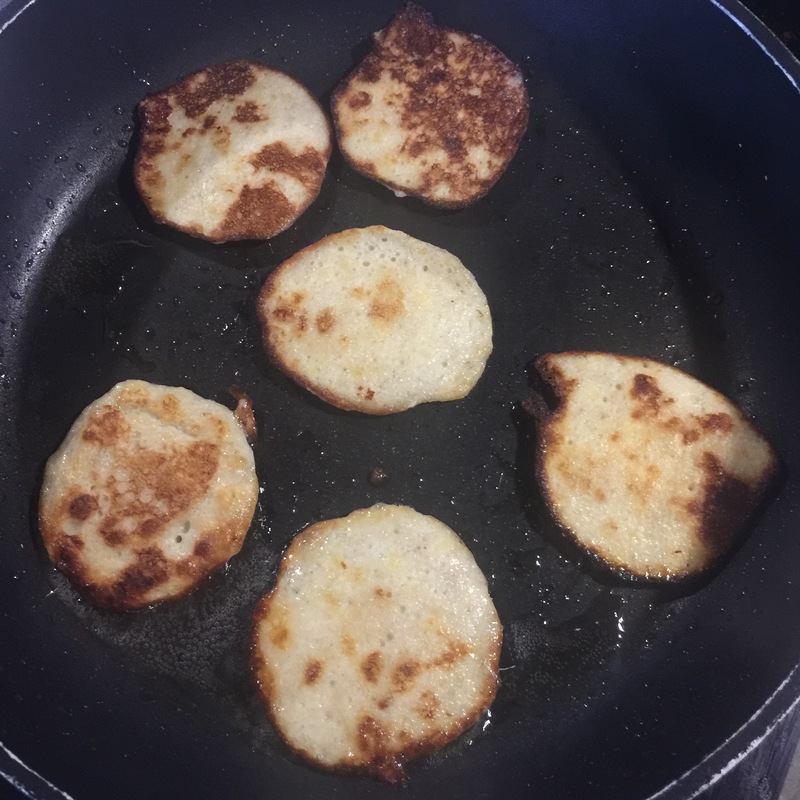 Like a lot of Mums, we were scared of choking and as I was at home by myself, I decided to start with something really soft and simple: baby led weaning banana pancakes. This baby led weaning recipe is so easy and you only need two ingredients! It couldn’t be simpler! 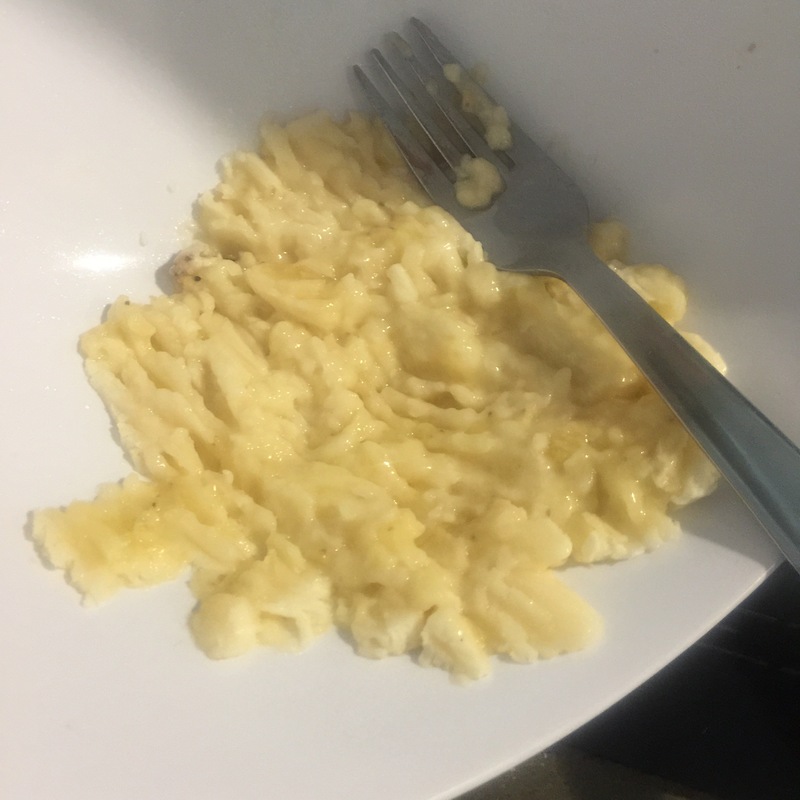 Take one banana and mash it up with a fork. The riper the banana,the better. Of course you can use a food processor/blender to save time but to be honest I’d rather spend the extra time mashing than cleaning up the blender!! 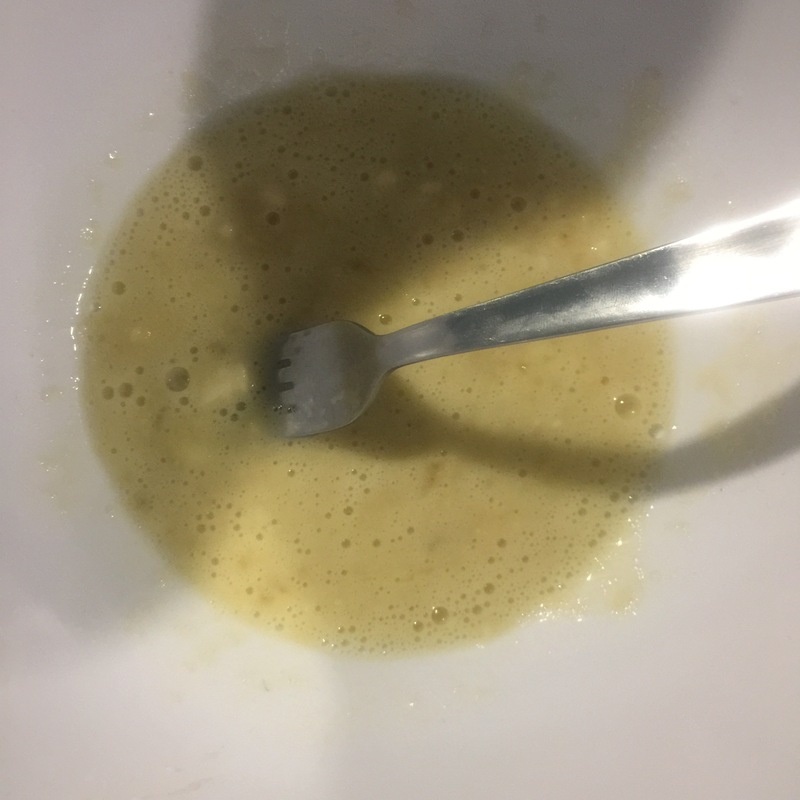 Crack an egg into the blended banana and whisk with the fork. Keep whisking until the mixture becomes frothy and batter-like. 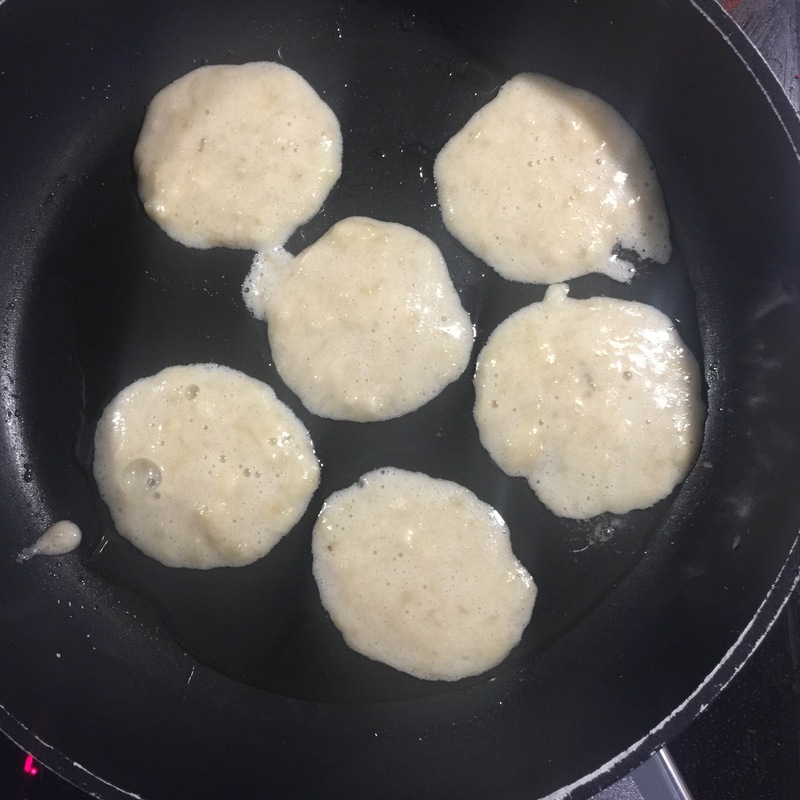 I let the pancakes fry for around two minutes before flipping. You can see when they’re ready to be flipped because they start browning at the edges. I then served them on a plate ready for Dex once they were cool enough. These fab Munchkin White Hot plates tell me when the food it too hot. 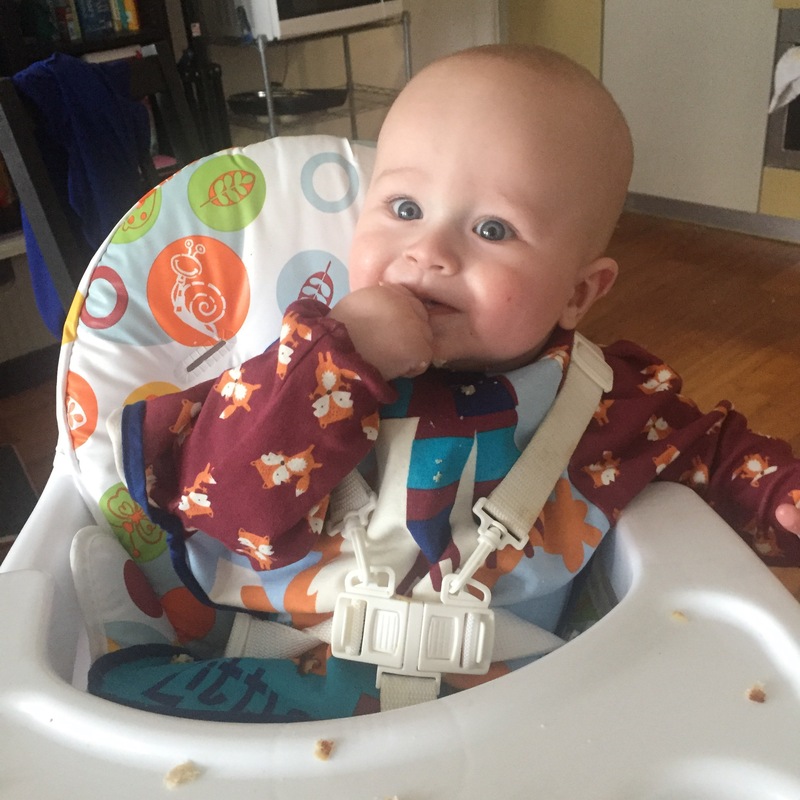 Did Dexter Enjoy the Baby Led Weaning Banana Pancakes?! I put them on Dexter’s tray two at a time so as not to overface him. I ate one pancake to show him how to do it. He absolutely adored them! A few bits ended up on the floor as he got to grips with picking them up but that’s a given with baby led weaning. I was actually surprised with how much he actually managed to eat. The pancakes were soft enough for him to gum and ‘chew’ off smaller pieces. You can also drop extra fruit into the batter once you’ve made it – squashed blueberries, raspberries, raisins, anything goes. Let me know if you try it with your baby and how you get on! 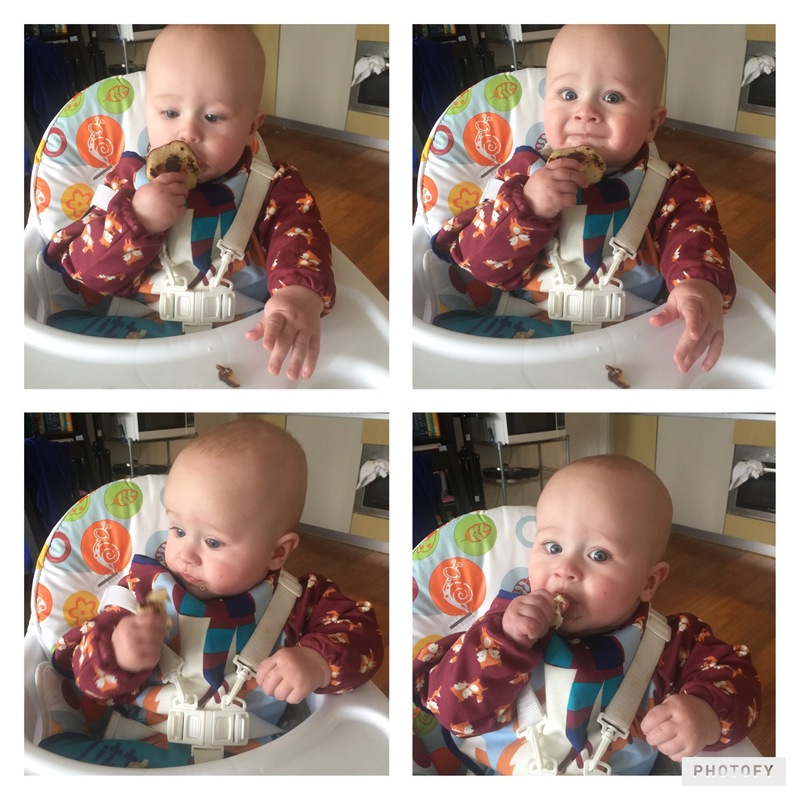 I think banana pancakes are the perfect first food when you’re starting out with baby led weaning. 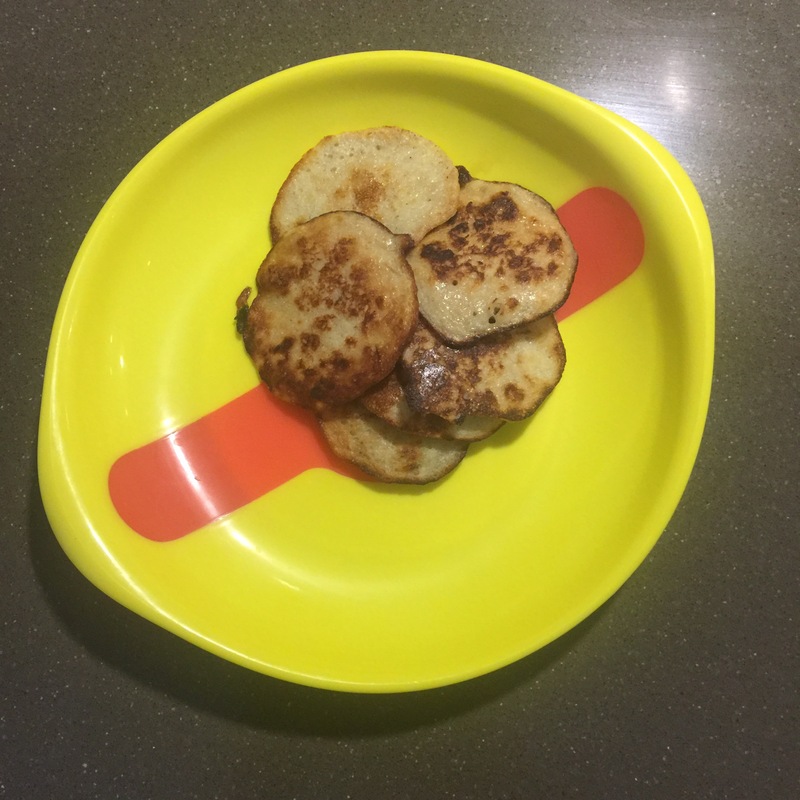 Once you get more confident why not try these banana and oat pancakes for babies? Thanks so much for this, we’ve just started baby led weaning so will be giving these a try for lunch today. I’m always looking for new ideas and they look fantastic! Hope you enjoy making them as much as I did! Thanks Lucy. I hope it goes as well for you as it did for me. You are right about the labels. I am sick of feeling I’m doing things wrong! These look great, will definitely give them a go!